KENNEDY SPACE CENTER, FL – Launching Americans back to space and the International Space Station (ISS) from American soil on American rockets via NASA’s commercial crew program (CCP) has just suffered another significant but not unexpected delay, with an announcement from NASA that the target date for inaugural crewed flight aboard a SpaceX commercial Crew Dragon has slipped significantly from 2017 to 2018. NASA announced the revised schedule on Dec. 12 and SpaceX media affairs confirmed the details of the launch delay to Universe Today. The postponement of the demonstration mission launch is the latest fallout from the recent launch pad explosion of a SpaceX Falcon 9 rocket at Cape Canaveral, Florida, on Sept. 1 during final preparations and fueling operations for a routine preflight static fire test. Since the Falcon 9 is exactly the same booster that SpaceX will employ to loft American astronauts in the SpaceX Crew Dragon to the space station, the stakes could not be higher with astronauts lives on the line. 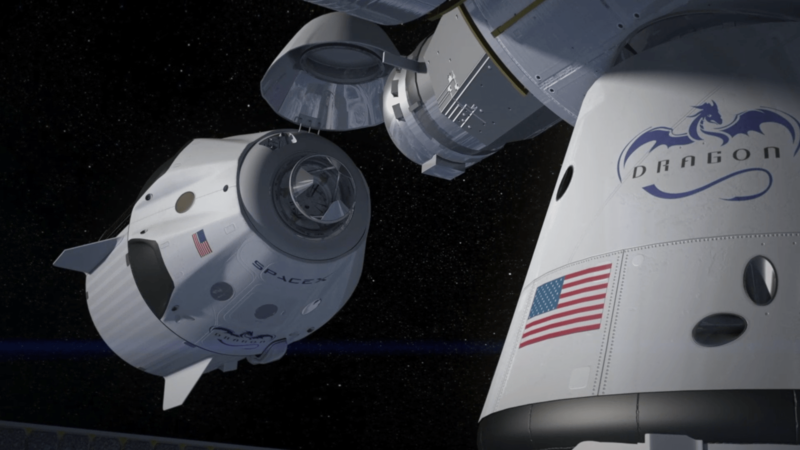 Blastoff of the first Crew Dragon spacecraft on its first unmanned test flight is postponed from May 2017 to August 2017, according to the latest quarterly revision just released by NASA. Liftoff of the first piloted Crew Dragon with a pair of NASA astronauts strapped in has slipped from August 2017 to May 2018. Although much has been accomplished since NASA’s commercial crew program started in 2010, much more remains to be done before NASA will approve these launches. “The next generation of American spacecraft and rockets that will launch astronauts to the International Space Station are nearing the final stages of development and evaluation,” said NASA KSC public affairs officer Stephanie Martin. Above all both of the commercial crew providers – namely Boeing and SpaceX – must demonstrate safe, reliable and robust spacecraft and launch systems. These latest launch delays come on top of other considerable delays announced earlier this year when SpaceX has still hoping to launch the unpiloted Crew Dragon mission before the end of 2016 – prior to the Sept 1 launch pad catastrophe. 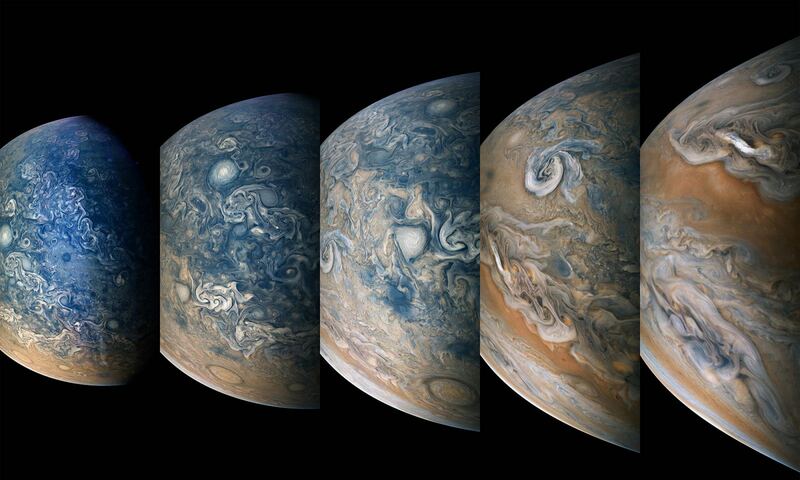 “We are finalizing the investigation of our Sept. 1 anomaly and are working to complete the final steps necessary to safely and reliably return to flight,” Larson told me. SpaceX is still investigating the root causes of the Sept. 1 anomaly, working on fixes and implementing any design changes – as well as writing the final report that must be submitted to the FAA, before they can launch the planned ‘Return to Flight’ mission from their California launch pad at Vandenberg Air Force Base. No launch can occur until the FAA grants a license after fully assessing the SpaceX anomaly report. Last week SpaceX announced a delay in resuming launches at Vandenberg until no earlier than January 2017. “We are carefully assessing our designs, systems, and processes taking into account the lessons learned and corrective actions identified. Our schedule reflects the additional time needed for this assessment and implementation,” Larson elaborated. Boeing has likewise significantly postponed their debut unpiloted and piloted launches of their CST-100 Starliner astronaut space taxi by more than six months this year alone. The first crewed Boeing Starliner is now slated for a launch in August 2018, possibly several months after SpaceX. But the schedules keep changing so it’s anyone’s guess as to when these commercial crew launches will actually occur. Another big issue that has cropped up since the Sept. 1 pad disaster, regards the procedures and timing for fueling the Falcon 9 rocket with astronauts on board. SpaceX is proposing to load the propellants with the crew already on board, unlike the practice of the past 50 years where the astronauts climbed aboard after the extremely dangerous fueling operation was completed. SpaceX proposes this change due to their recent use of superchilled liquid oxygen and resulting new operational requirement to fuel the rocket in the last 30 minutes prior to liftoff. Although a SpaceX hazard report outlining these changes was approved by NASA’s Safety Technical Review Board in July 2016, an objection was raised by former astronaut Maj. Gen. Thomas Stafford and the International Space Station Advisory Committee. “SpaceX has designed a reliable fueling and launch process that minimizes the duration and number of personnel exposed to the hazards of launching a rocket,” Larson explained. SpaceX says they have performed a detailed safety analysis with NASA of all potential hazards with this process. SpaceX representatives recently met with Stafford and the ISS review board to address their concerns, but the outcome and whether anything was resolved is not known. “We recently met with Maj. Gen. Stafford and the International Space Station Advisory Committee to provide them detailed information on our approach and answer a number of questions. SpaceX and NASA will continue our ongoing assessment while keeping the committee apprised of our progress,” Larson explained. The Falcon 9 fueling procedure issue relating to astronaut safety must be satisfactorily resolved before any human launch with Dragon can take place, and will be reported on further here. Whenever the Crew Dragon does fly it will launch from the Kennedy Space Center (KSC) at Launch Complex 39A – the former shuttle launch pad which SpaceX has leased from NASA. SpaceX is currently renovating pad 39A for launches of manned Falcon 9/Dragon missions. And the firm has decided to use it for commercial missions as well while pad 40 is repaired following the pad accident. This week a Falcon 9 first stage was spotted entering Cape Canaveral to prepare for an upcoming launch. Getting our astronauts back to space with home grown technology is proving to be far more difficult and time consuming than anyone anticipated – despite the relative simplicity of developing capsule-like vehicles vs. NASA’s highly complex and hugely capable Space Shuttle vehicles. And time is of the essence for the commercial crew program. Because for right now, the only path to the ISS for all American astronauts is aboard a Russian Soyuz capsule through seats purchased by NASA – at about $82 million each. But NASA’s contract with Roscosmos for future flight opportunities runs out at the end of 2018. So there is barely a few months margin left before the last available contracted seat is taken. It takes about 2 years lead time for Russia to build the Soyuz and NASA is not planning to buy any new seats. So any further delays to SpaceX or Boeing could result in an interruption of US and partner flights to the ISS in 2019 – which is primarily American built. Exterior of the Crew Dragon capsule. Credit: SpaceX. Since its inception, the commercial crew program has been severely and shortsightedly underfunded by the US Congress. They have repeatedly cut the Administration’s annual budget requests, delaying forward progress and first crewed flights from 2015 to 2018, and forcing NASA to buy additional Soyuz seats from Russia at a cost of hundreds of millions of dollars. The russians probably “hacked” it. lol. but in all seriousness – looks like the space -relationship between the NASA, ESA and JAXA with Roscosmos will stay strong until, at least 2018! God Bless the men and women from all each of those nations’ space programs for (gasp) overcoming the political obstacles that divide our nations, on a daily fake basis. If I were Elan… I’d build a lunar transit Dragon capsule and and fly around the Moon, just to show how it’s done, then call it a test spin? Where did the edit option get off to? Word Press site?